Are you planning to work in Africa? Whether you want to accelerate your career, return home or experience working in a different continent, you need to get it right. A unique, step-by-step guide to working in the fastest growing continent in the world that offers invaluable advice on the African job market, the industries and professions in demand, how to put in place a winning strategy, write a compelling CV, make the right connections, and find a job in Africa that builds on your career and talents in today’s competitive job market. This highly readable book will help you draw up your personal road map for this exciting step in your career journey; clarify your motivation, assess your skills and develop a compelling case for recruiters and corporations, ensuring that they recognize the contribution you can make. 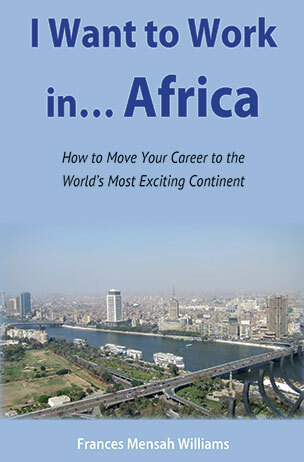 Illustrated with personal stories and full of practical advice from recruiters and from professionals who have successfully made the transition to work in Africa, you will gain the information, insights and inspiration to make the right career move to the most exciting continent today.